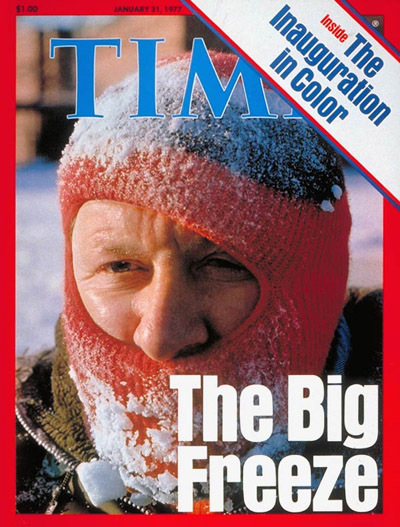 During the 1970s the media promoted global cooling alarmism with dire threats of a new ice age. Extreme weather events were hyped as signs of the coming apocalypse and man-made pollution was blamed as the cause. 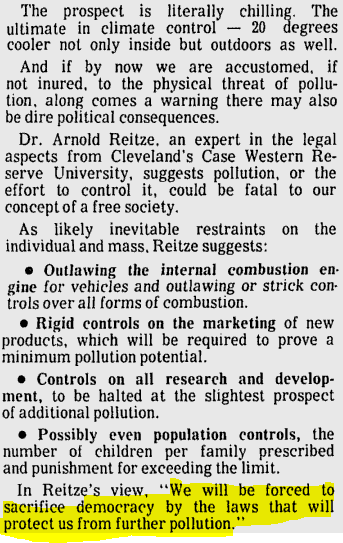 Environmental extremists called for everything from outlawing the internal combustion engine to communist style population controls. "Pollution Prospect A Chilling One"
© 2004-2015 Popular Technology.net. All Rights Reserved.